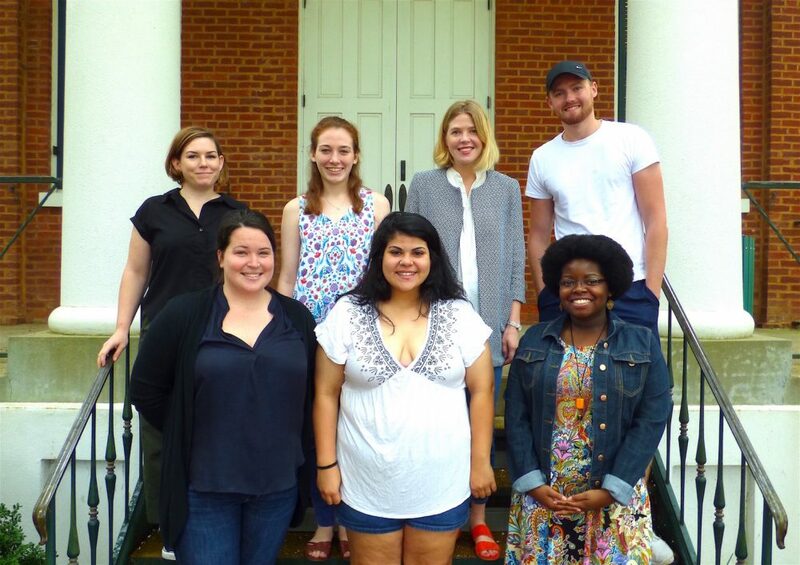 The UM graduate program in Southern Studies offers an intense interdisciplinary curriculum for a Master of Arts degree touching on many facets of Southern life, history, and culture. Students take core seminars on the interdisciplinary study of the South, and they choose from among seminars on Southern history, literature, music, religion, and other topics; individual study courses that enable them to work closely with faculty; and workshops on documentary methods including oral history, photography, and filmmaking. Some students pursue internships that provide supervised work experience in cultural institutions. One can pursue an MA in Southern Studies following one of three tracks described below: thesis, documentary, or internship. All students select courses from at least two academic disciplines with a maximum of twelve hours in any single discipline. If you have questions, please contact Dr. Katie McKee, Graduate Studies Advisor, at kmckee@olemiss.edu. The thesis degree consists of a minimum of 30 total hours of coursework, including SST 601 and 602, 18 separate hours of content classes, and a minimum of six thesis hours (SST 697). Coursework incorporates at least three disciplines (one may be Southern Studies) and may include two Independent Studies (SST 605). A thesis is a presentation of original scholarship in the form of written work (80–120 pages), accompanied by a final oral defense. Students should think about the thesis early in their programs: using seminar papers to formulate a thesis project helps facilitate research and can contribute to timely completion of the master’s degree. View a list of thesis topics pursued by M.A. students over the years. The documentary track is similar to the thesis track in that it requires SST 601 and 602, 18 hours of additional coursework including 533 (Fieldwork & Oral History), either 534 (Documentary Photography) or 537 (Introduction to Documentary Film-Making), and at least 6 hours of thesis. (NOTE: SST 533 is a prerequisite for both SST 534 and 537.) The student presents a final documentary project—using audio, still photography, film, or a combination thereof—along with an essay (50-60 pages) that chronicles the evolution of the student’s thinking regarding the documentary process and the development of his/her final project. Students on this track assemble a three-member committee to oversee their work, just as students on the thesis and internship tracks do. This option requires a minimum of 36 hours of graduate coursework, which includes SST 601, 602, and 30 additional hours. The non-thesis option requires an internship for at least six credit hours (SST 603), an internship paper (40-50 pages), and a colloquium presentation growing out of the internship. A student interested in pursuing this track should make arrangements with a suitable institution to set up the internship. Faculty members may participate in this process, but it is ultimately the student’s responsibility to secure the position. Internships may not be completed as part of a student’s regular employment. An on-campus faculty member will advise the student and generally oversee the project. A representative of the sponsoring institution will supervise the intern on site. Students will hold the internship for the duration of an entire semester, working approximately 20 hours a week. Students on the internship track assemble a three-member committee just as students on the other two tracks do. View a list of internships completed by past students.